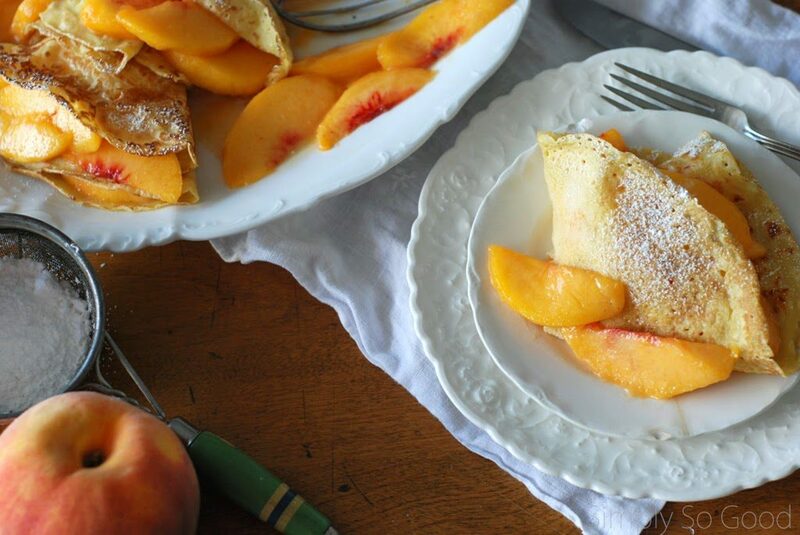 Farmers markets and fruit stands are brimming with locally grown peaches. 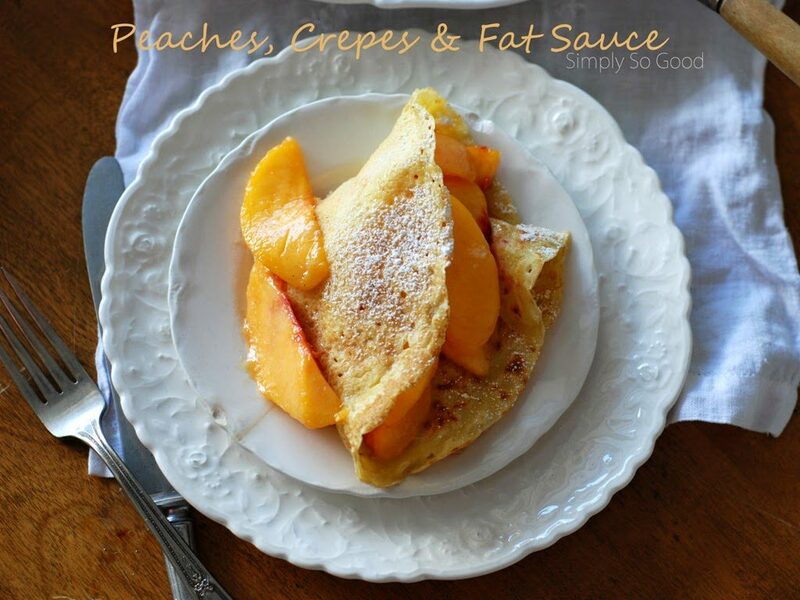 Peaches, crepes and fat sauce is a family favorite. 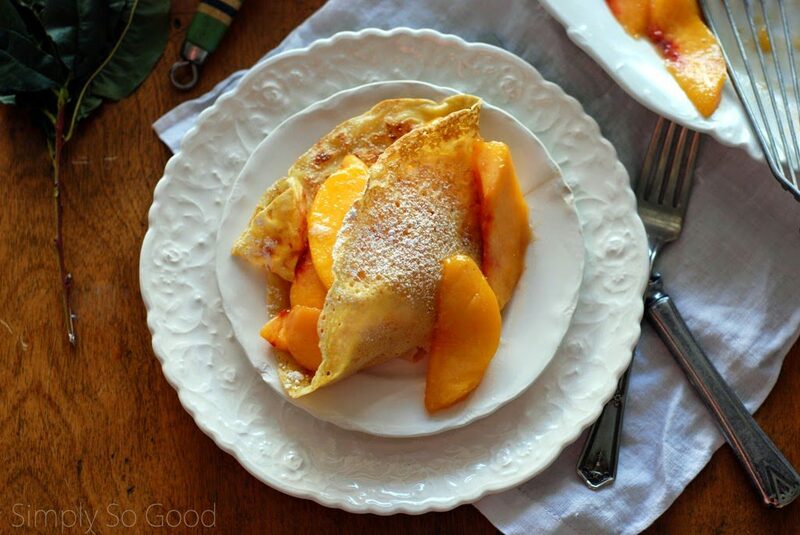 Fall is in the air and peaches are still in abundance. 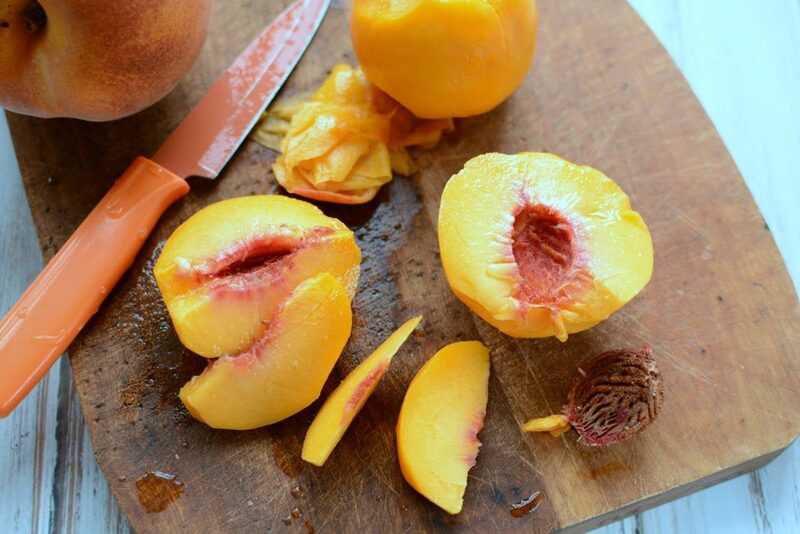 I will eat them non-stop until I can’t find another peach for sale at a farm stand! 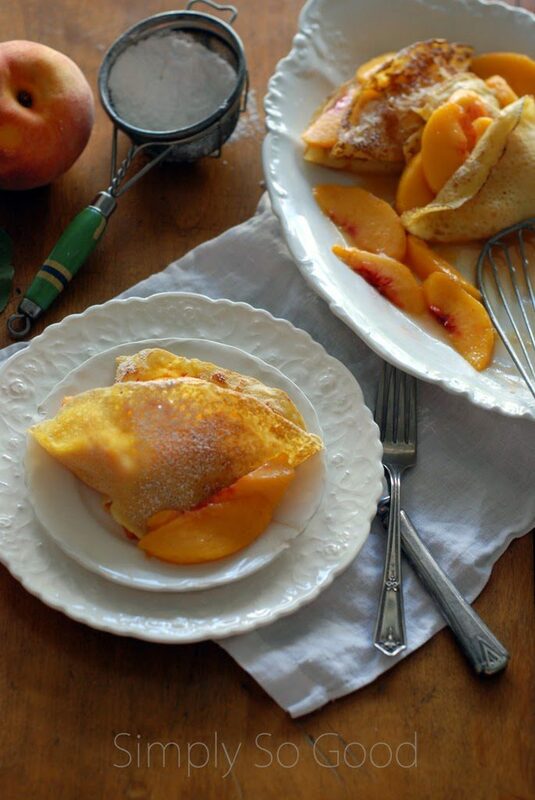 Fresh peaches are barely simmered in fat sauce and carefully arranged into thin french crepes. I ended up eating three. 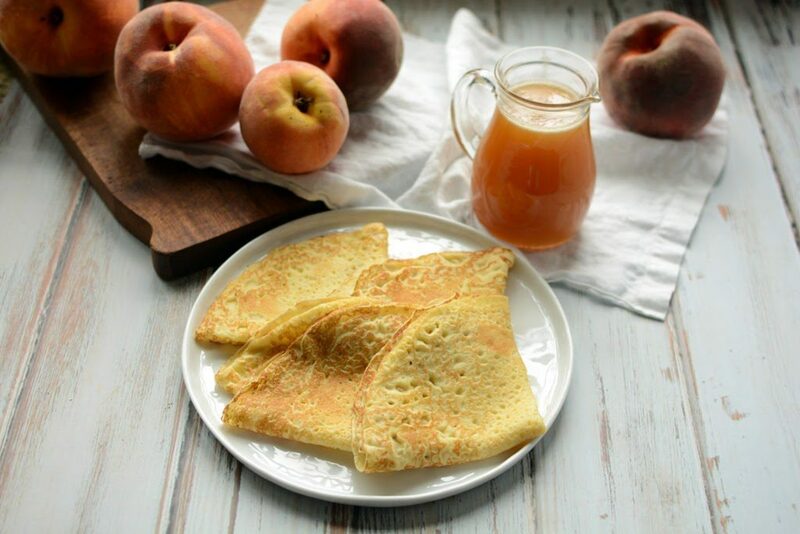 Peel, pit and slice peaches. 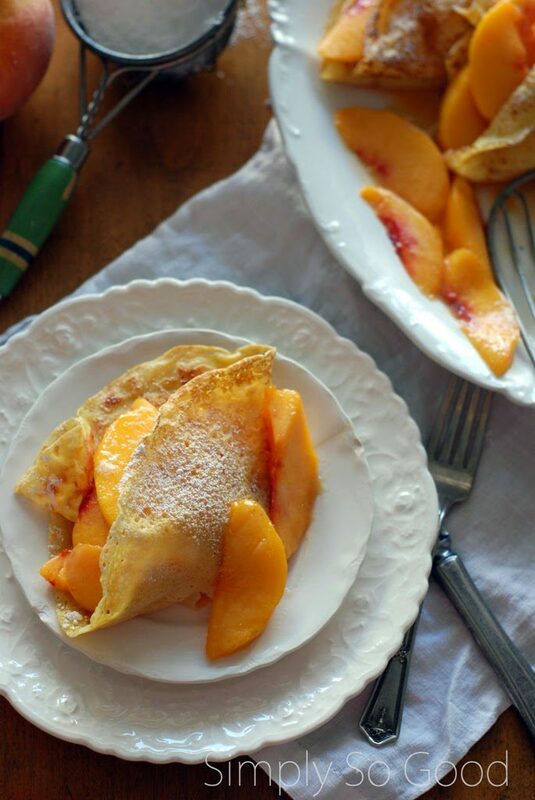 I plan on about 1 peach per crepe, if the peaches are small. 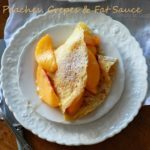 Pour fat sauce into a warm skillet. Barely bring to a simmer. 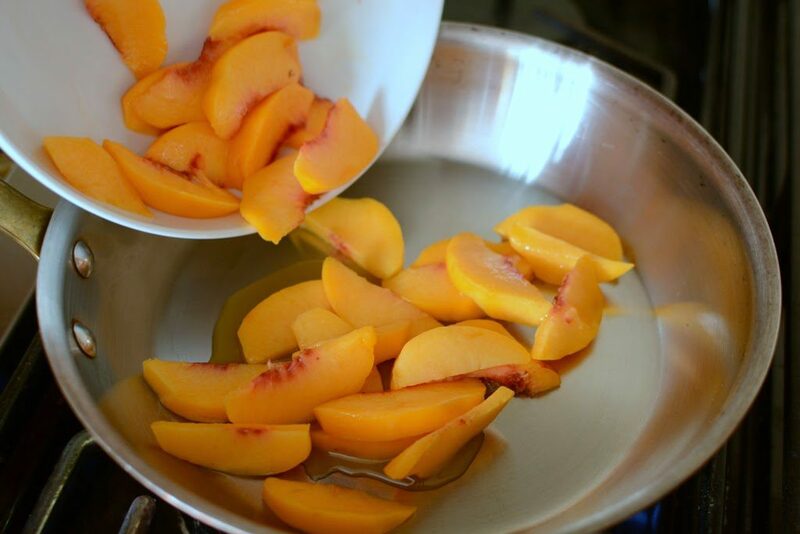 I like the flavor of fresh peaches, so I don’t want them to cook. 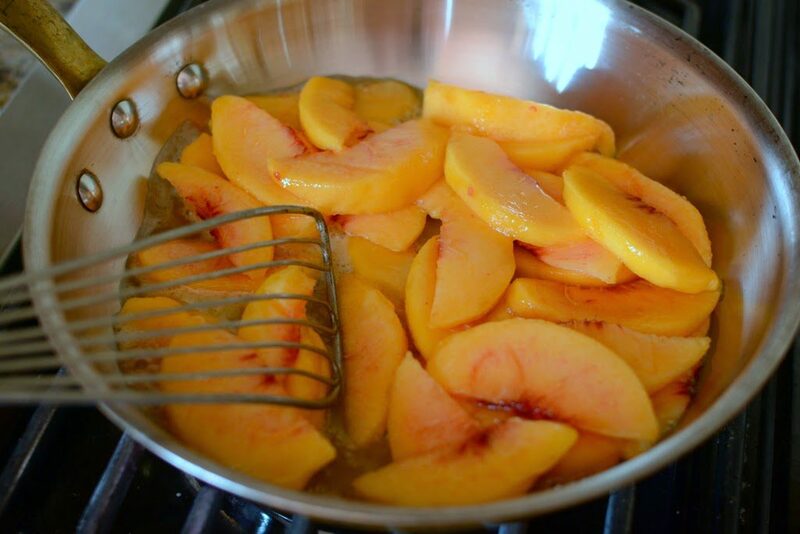 I only want to bring the fat sauce to a simmer so that the peaches will release a bit of juices to create a sauce. 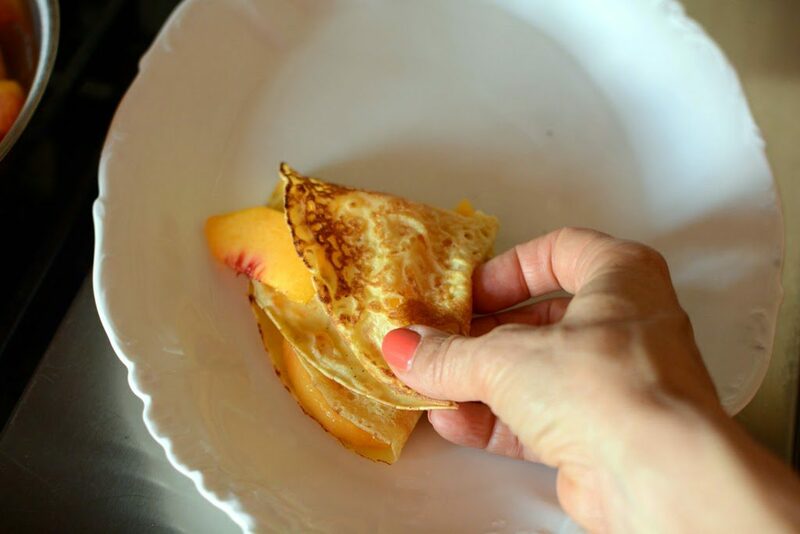 Fold over again to form a triangle. 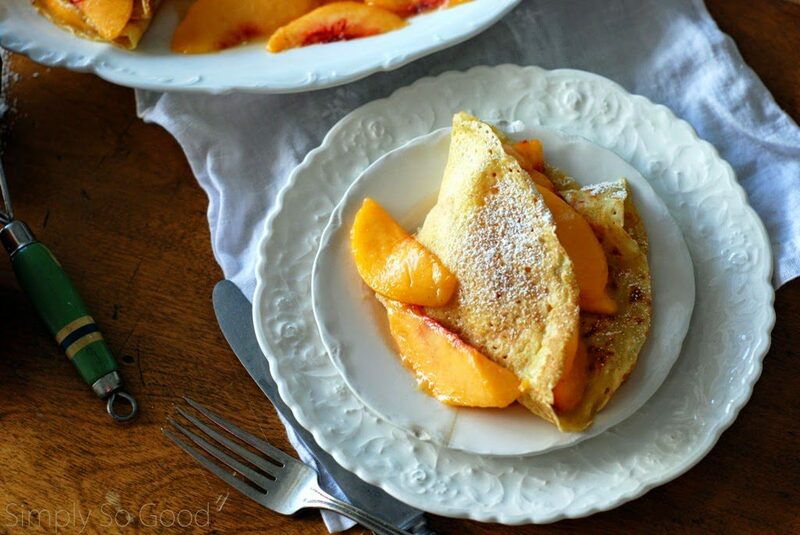 Pour any remaining peaches and juices over the the top. This is a pretty simple recipe. 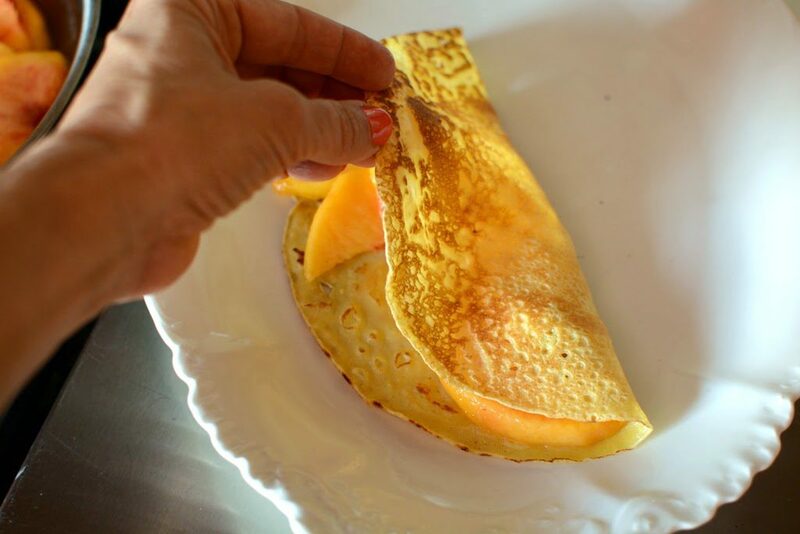 Crepes only take a few minutes to make and you should ALWAYS have fat sauce in your refrigerator. Sprinkle with a little powder sugar. You can serve will a dollop of whipped cream or yogurt. 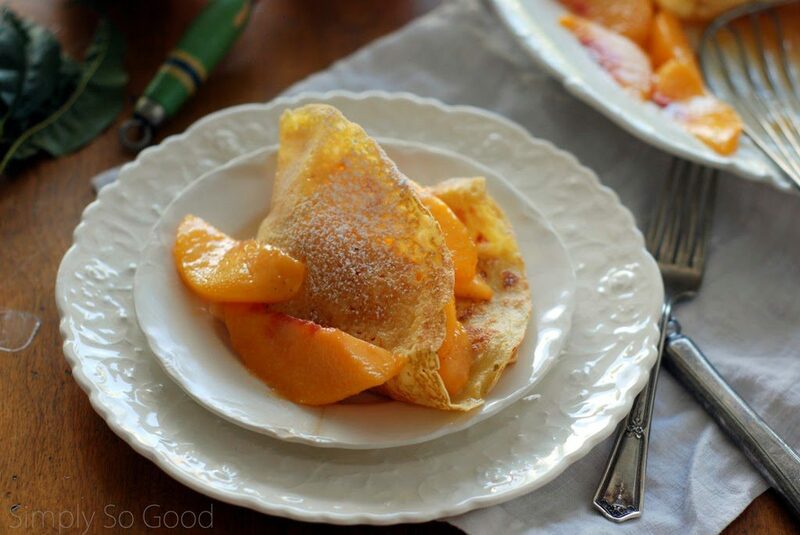 A fabulous wake up and smell the Autumn air or a great dessert…or both. Add the ingredients into a blender and blend until smooth. Batter can be mixed with a whisk as well. 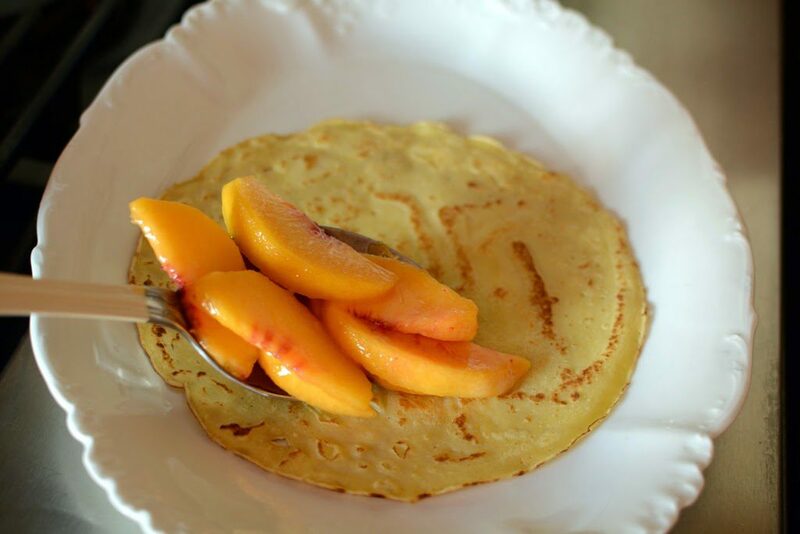 In a large saucepan, combine sugar, buttermilk, butter, corn syrup and baking soda. Bring to a boil for 5-7 minutes. Stir constantly. The addition of the baking soda will make the syrup foam up. Make sure your pan is large enough so that it doesn’t boil over. 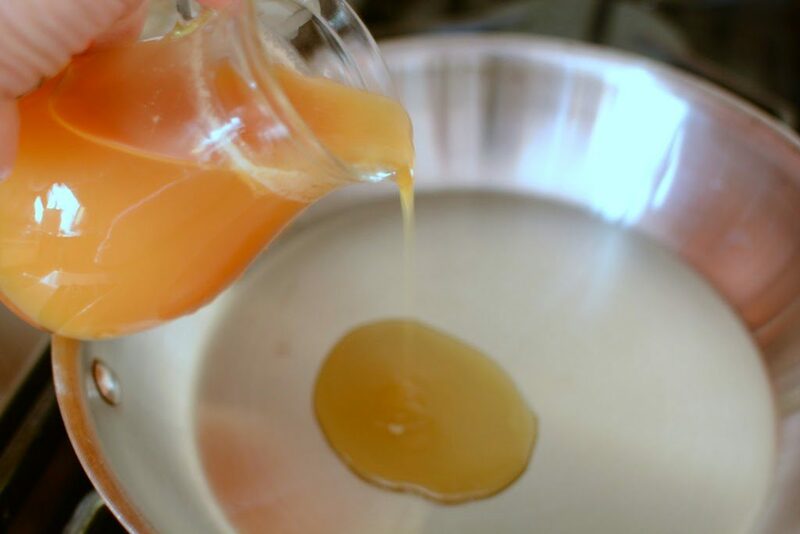 Cook until a light caramel color. Nutrition facts DO NOT include Fat Sauce. **Nutrition facts do not include fat sauce. Me too! Thanks for your comment.